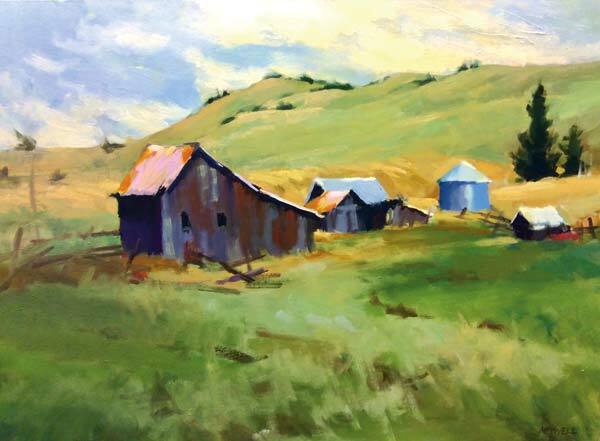 Mary Powell’s painting, “Old Molson Ranch,” will be on display at Confluence Gallery. It’s a rare occurrence, but this weekend both Confluence Gallery and the Winthrop Gallery are opening new exhibits with receptions on the same day. And since they don’t overlap, art fans can easily take them both in. On Saturday (April 21), the Winthrop Gallery unveils “An Artist’s Life” with a public reception, including refreshments, from 11 a.m. – 3 p.m. The show opens on Thursday (April 19). “An Artist’s Life continues through June 4. 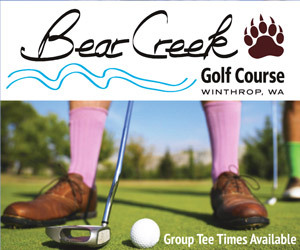 Spring hours at the gallery are Thursday through Monday, 10 a.m. to 5 p.m. For more information call 996-3925 or visit www.winthropgallery.com. • “Rural Life,” oil paintings by Mary Powell, opens in the Community Gallery. Powell’s paintings focus on rural scenes of the Methow Valley and Okanogan County. • “Some Abnormal Growth,” pen-and-ink works by artist-in-residence Eli Klemmeck, will open in the gallery’s gift shop. The solo show features works created during Klemmeck’s three-month residency. In a press release, the gallery described Klemmeck’s work as “whimsical and surreal, with a touch of the dark and mysterious,” drawing inspiration from the natural world while adding his own twist of otherworldly imagination. The exhibits continue through May 19. For information, call 997-2787 or visit www.confluencegallery.com.